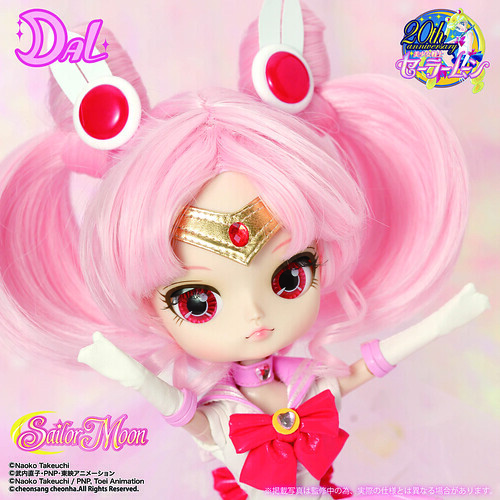 Sailor Moon x Pullip Collaboration series- Dal Sailor Chibi Moon announced! 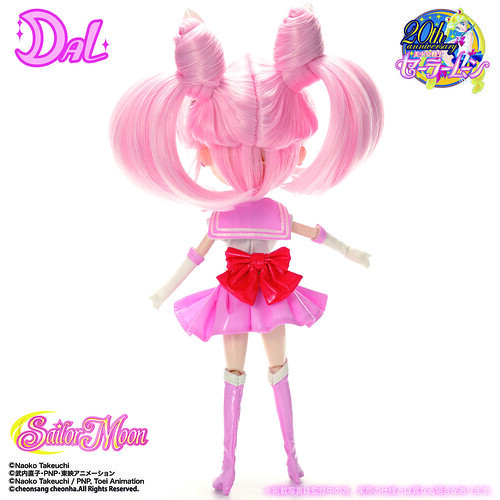 Groove finally released details about the newest doll in the very popular Sailor Moon x Pullip collaboration series Dal Sailor Chibi Moon via their blog. Sailor Chibi Moon is the eighth doll released as a part of the Sailor Moon collab series. 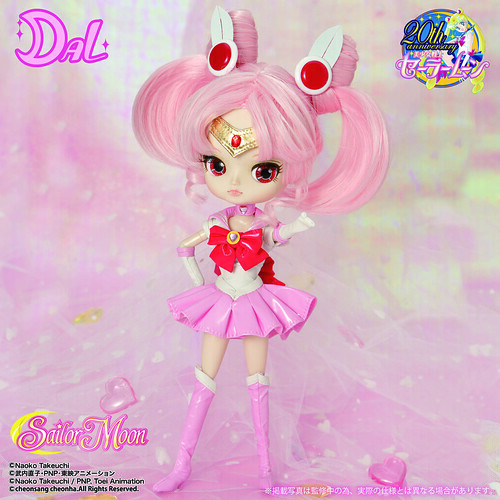 She is the first Dal released as a part of the Sailor Moon series as well as the first Dal released in nearly a year… now if only we could get more Isuls and Byuls! The little soldier of love and justice is set for a June release and has a MSRP of 17000 yen. She’s so cute and very pink! I really love her face up and think it’s very well done, I bet she would look great alongside fellow magical girls Dal Madoka from Puella Magi Madoka Magica as well as Dal Magical Pink-chan. 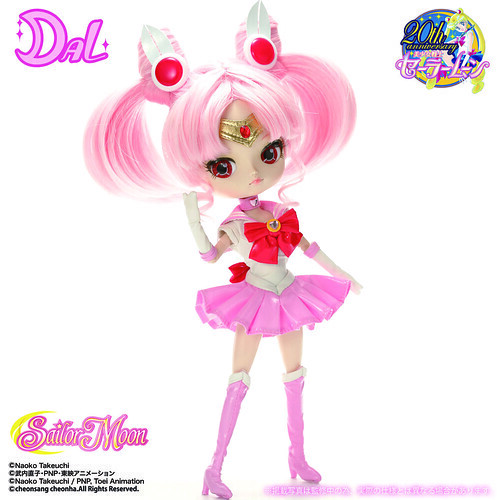 I know some people are kind of upset that Chibi Moon is a Dal and not a Yeolume (Yeolume is Pullip’s daughter from the future so it would kind of make sense) BUT I feel like Groove did a really nice job faithfully adapting her design to Dal. Yeolume is somewhat challenged when it comes to posing so she will be a lot more fun to pose as a Dal. I believe there are probably some licensing issues with having a character in the collab series as a Yeolume as unlike the other dolls she is owned by AGA, not Groove. View from the back, I always kind of marvel at the structural engineering involved with such hairstyles! Bandai shop once again has an exclusive bonus item that is available only to those who preorder from them, it’s Luna P! For those of you wondering why she decapitated cat’s head with an antenna sticking out of it, Luna P is a communication device that Chibi Usa/ Chibi Moon uses to communicate with Sailor Pluto it can also transform into useful items. 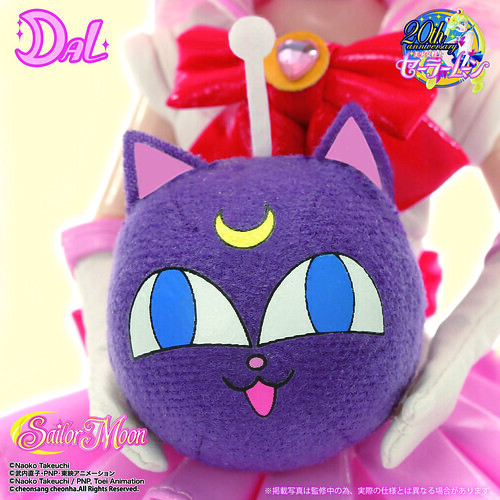 It’s appearance it’s based off of Sailor Moon’s cat Luna. 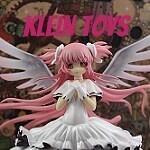 She is priced the same as the normal edition of Sailor Chibi Moon. I’ll be sure to update once preorder information from Pullipstyle/JPGroove becomes available! This entry was posted in Dal, Pullip and tagged bishoujo senshi sailor moon, Dal, Pullip, sailor chibi-moon, sailor moon, sailor moon x pullip. Bookmark the permalink.